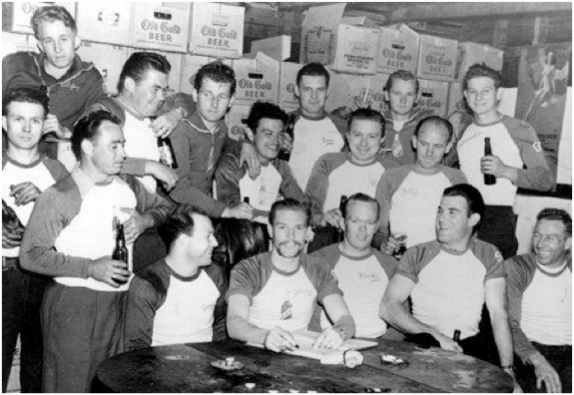 The Boozefighters Motorcycle Club (BFMC) was formed in 1946 by Willie “Wino” Forkner and some other guys fresh out of World War II. Other founding members were George Manker, "Fat Boy" Nelson and Dink Burns according to what we know of the original history. 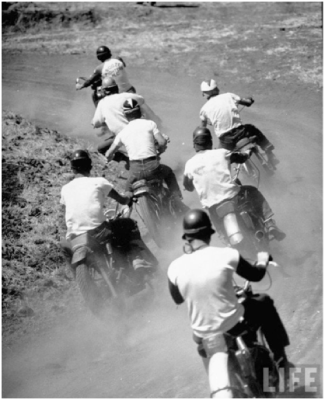 Together this group rode the race circuit and generally pushed the word “danger” to new levels. 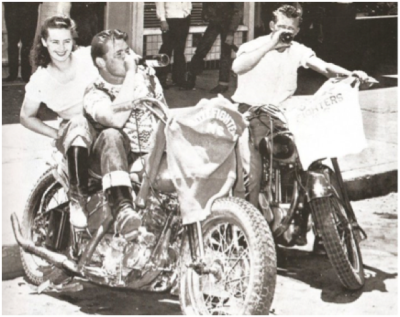 In 1947 there was a short article in Life Magazine which detailed the Boozefighter invasion of Hollister, CA which became the inspiration for the movie “The Wild One.” The movie is loosely based on that event on July 4th in 1947 where several Boozefighters, along with many, many other bikers ascended on the town to have fun right beside the local town folk. While the movie did not correctly portray our club it certainly launched a reputation for our club and others, even if it was a dubious one. Being a Boozefighter means a lot of things, but the core of our club is brotherhood, respect and the spirit of friendship while having great times. Our Boozefighter Chapter 35 intends to hold up the values of the Brothers that came before us and to have fun like today is our last day on earth, because it just might be. 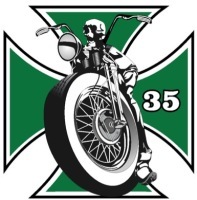 The Boozefighters have evolved into an International Motorcycle Club found throughout the world with continued membership and expansion.